Do you enjoy romance and adventure or dreaming of a prince under crimson sails or a knight on a white horse? Then the year of the Horse is your year. The Horse protects everyone who does not sit in one place and like the heroes of classic Westerns rides beyond beautiful sunsets. Of course it doesn’t mind a calm, measured life, it’s just too busy with its own affairs, ideas, and projects for which it is willing to work from morning till night and from night till morning. Or, to put it simply - "to plow like a horse". What was Fashionable in 2002, the Year of the Blue (Water) Horse? Makeup in the year of the Horse is truly impressive with its unusual approach. In fact, it is quite simple to perform: it is possible to be created during a tourist trip, at a beach party, in the country, and all other places where destiny brings a restless and enterprising horse. This creature is positive, cheerful, and has a light and good-humored character. And the makeup corresponds to its character: bright colors remind you of hot summer days and nights, and unusual techniques emphasize the bold, creative thinking. 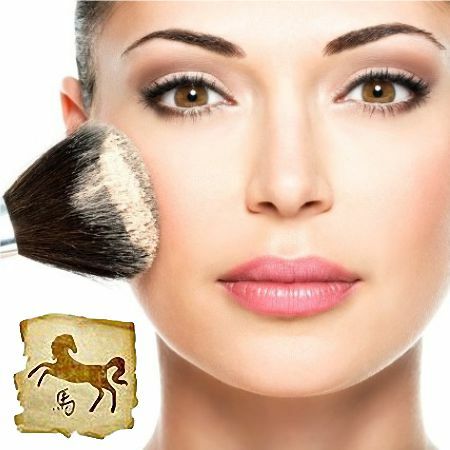 If the year of the Horse is on the threshold, you can be sure that the trendy makeup it’ll bring will certainly surprise you! Let us recall the year 2002 which was the year of the Blue (Water) Horse. Its main trend is the emphasis on the eyes, and the "mirrors of the soul" were given a particularly romantic and sometimes gothic look. Anthracite or black eye shadows created captivating, bottomless depth. The effect was amplified by the black eyeliner that was used quite actively at that time. Everything else was not left without attention, but it looked inconspicuous. Creating this makeup is not difficult even for young women of fashion, but the obtained result is quite impressive. 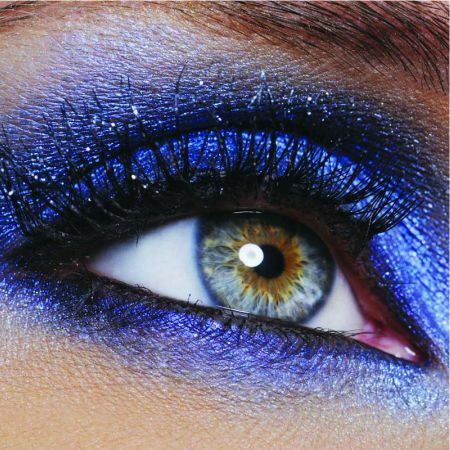 If you wish, you can experiment with a little blue, using it as a classic "smokey eyes", creating transitions from light blue to dark blue and almost black. Tree element dictates its own laws; 2014 is not an exception, as it was the year of the Green (Wood) Horse. Naturalness became a real trend, if not to say - fetish. There were no "acid" colors and unnatural shapes. The trendy makeup styles of this time were light, unobtrusive, or even unnoticed, almost as if you had just washed your face, came out of the bathroom, and had not yet decided what to do. Herbivorous Horse does not mind the green in all its manifestations. But green is known to be different. In the year of the Green Horse, you should choose the shade that suits you personally. Suitable greens include a bright grassy color, or refined mint, or solemn, solid dark green. Slightly dilute your green eyeshadow with brown and beige, place accents, emphasize your dignity and the makeup of the year of the Green Horse is ready! 2026 will be the year of the Red (Fire) Horse. You can briefly describe the makeup style in the year of the Red Horse as incendiary. This is a makeup style of vamp women, queen of men's hearts, with a hot temperament and bright, self-willed characters. This makeup style is not only able to emphasize the advantages but also turn their possessor into a real queen. Focusing on your lips will give your overall image sensuality; it’d be best is you chose pure, noble colors - wine red, bright red, crimson. Perhaps velvety matt structure will be more popular then shiny satin, although it depends on personal preference. In any case, make-up of the year of the Red Horse will leave a bright trace in the history of fashion, will be remembered and will bring something completely new. Like the article «Romantic Makeup of the Year of the Horse»? Share it with friends!